This page shows everything that is currently happening locally, or that is planned soon. Make sure to view it all! Generally this group meets monthly on a Saturday mornings for 1 hour. Their prime objective is to support the local community in becoming more energy efficient. The group have a thermal imaging camera and offer free surveys to those wishing to reduce heat loss. The group also supports renewable energy and has, for example, supported local planning applications for solar arrays and other renewable energy projects. The group also attend local events with a pop up energy shop providing information and advice on energy efficiency. For more information please email info@sustainablewells.org.uk. New members are always welcome. What a success these are! We hold regular Repair Cafes in Wells where anyone can bring along stuff that needs fixing, and find out how to mend things. There’s always delicious tea and cafe on offer too. Join our mailing list if you want to be notified when and where they are. We hold these about twice a year. It’s a chance to have a good clear out and find new homes for things you no longer need or want. It is set up like a car boot sale (but no money changes hands). Everything is given away for free. Please join our mailing list if you wish to be notified when and where they are. Many of you will have heard the news that Penzance are the first community in the UK to achieve “Plastic Free Coastline status as well as the decision by Mendip District council to go Single Use Plastic Free. The coastline scheme is based on the Fair Trade model and run by Surfers against Sewage, as it says on their website https://www.sas.org.uk/ “Plastic pollution is “the new sewage” Tackling it is our number one priority”. Start a “Grow Veg Anywhere” scheme, just like in Incredible Edible Todmorden. Contact Lucy for further details. Have a breadmaking day using ingredients form local sources. Learn about the health, environmental and economic benefits of baking your own. Arrange for an energy consultant to advise us on the possibilities for renewable energy sources in and around Wells. Have a stall at Summer Fairs in the area to promote awareness of the issues around climate change and peak oil and the possibilities for local solutions. Campaign to improve public transport links. Start a car club in Wells. Do let us know your ideas and how you can help. 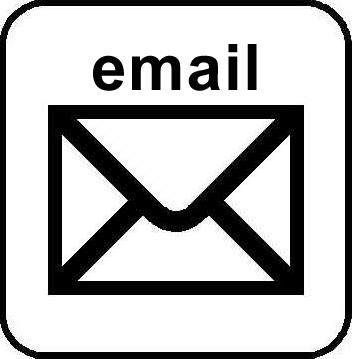 To be kept informed of developments, please subscribe to our free email newsletter (top right of this page).